Valentine’s Day is just around the corner. Regardless of your plans, getting your special someone a card is mandatory. In this day and age it can be hard to find an original card. You could make one yourself but then again that seems like a lot of hard work. Thankfully we have compiled a list of 10 of the funniest cards that the internet has to offer. This one will have your Valentine laughing Pho sure. 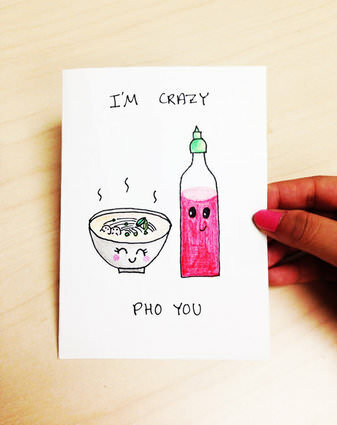 Nothing says I love you like a Vietnamese noodle soup pun. These days suggesting that you love someone more than your iPhone is either a lie or essentially a marriage proposal. Don’t break out this card unless you have very serious intentions. There are other cards in the sea, no need to get too serious too fast. FIFA, NHL, Call of Duty… really telling your special someone that you’d pause any video game for them is an incredibly sweet gesture – lets just hope they never put it to the test. This card lets your special sassy someone know that you can dish out the sass just as well as you take it. Socks and sandals are universally recognised as the greatest threat to humanity’s existence. 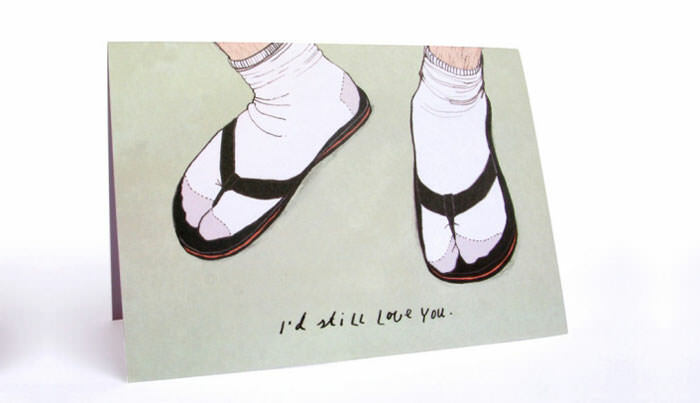 Remember just because you tell your Valentine that you’d still love them if they wore socks and sandals doesn’t mean that you agree to be seen in public with them. We apologise for not censoring this clearly disturbing image but felt that it had to be shown. Nothing else we have ever come across has so concisely summarised the modern relationship. 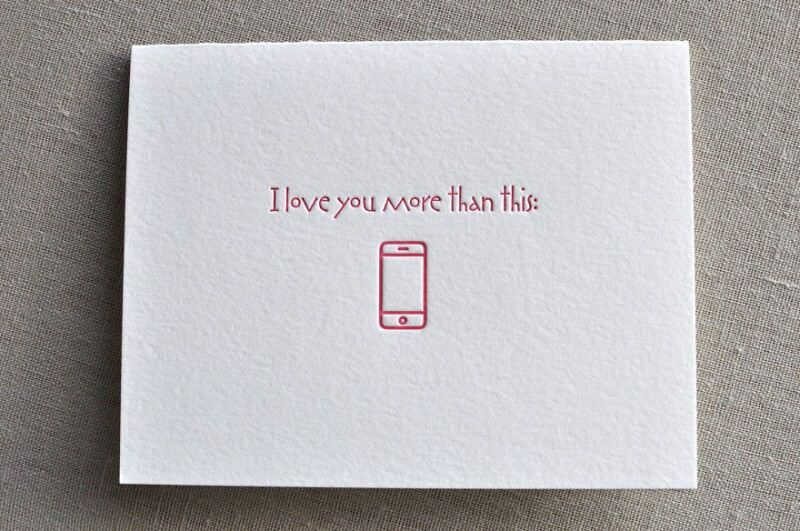 Funny and honest, just like your partner – well maybe not but the card is still pretty great. Let’s face it you are weird but thankfully so is your special someone. Let them know that you appreciate their weirdness with this cute card. We had to look it up but as it turns out this heart-tugging romantic phrase did not come from the quill of Shakespeare. If you are a happy-go-lucky optimist with a big heart then this card is the perfect way to tell your valentine how much they mean to you. 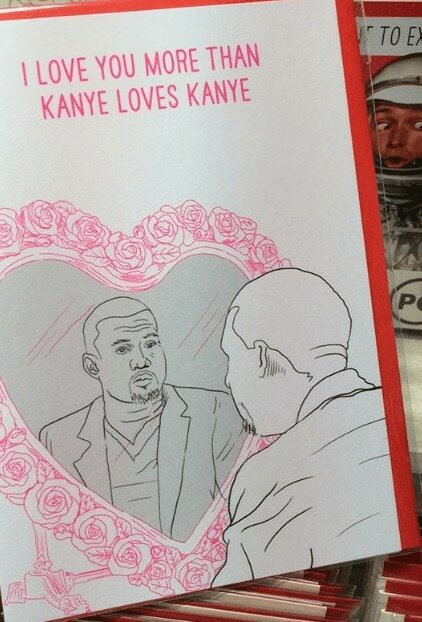 There are many cards but only one Kanye. Need we say more? Trust is the cornerstone of a healthy relationship. 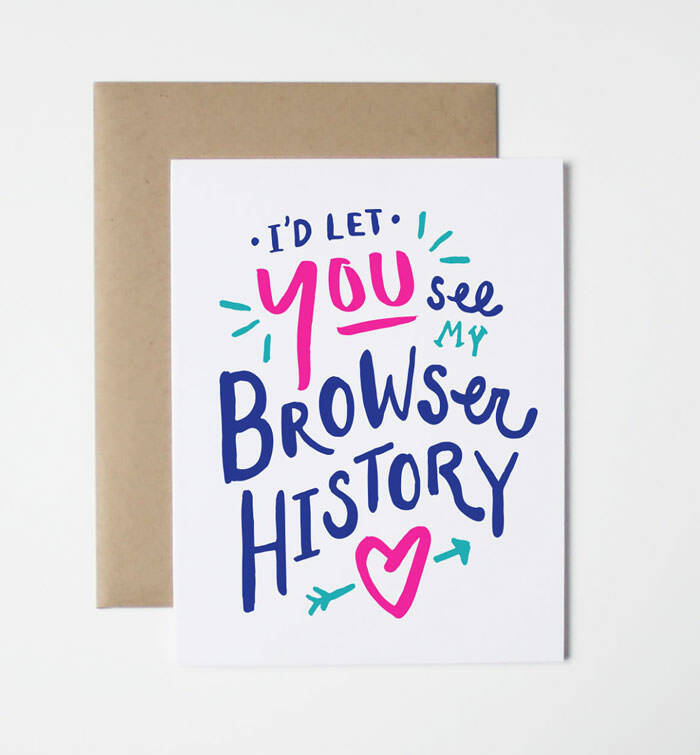 In modern society nothing says trust like exposing your browser history. You can hide your true self from your husband, wife, boyfriend, girlfriend but not from your browser history… wait you can? Gotta run. Hope you enjoyed the list. Images from imgur and Bored Panda. 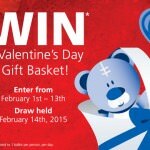 For a chance to win your special someone (or yourself) a beautiful Valentines Day gift basket check out this article. Keep checking the Current for the latest Valentines Day tips. 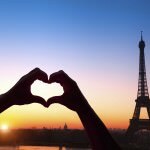 Find out how to have a special Valentines day without breaking the ban, learn where the most romantic destinations can be found.